Welcome to week 2 of “Island Friday” and probably the most gruesome – literally – of all the islands I’ll be sailing around – Deadman’s Island. Bit of a Ronseal island this, in that “it does what it says on the tin” – it’s an island full of dead people. 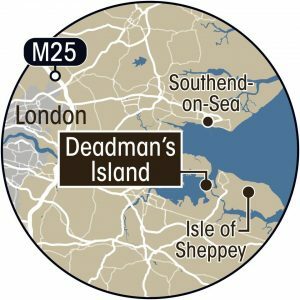 So where exactly is Deadman’s Island and why does it have this macabre name and history? 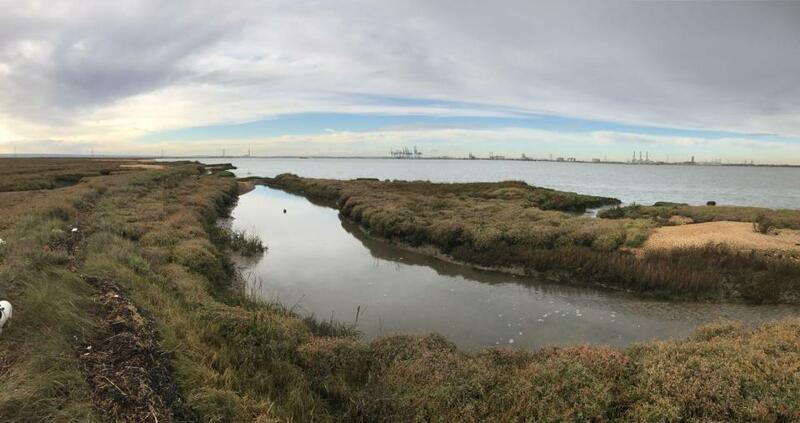 Deadman’s Island is just off the North Kent coast just west of the Isle of Sheppey. 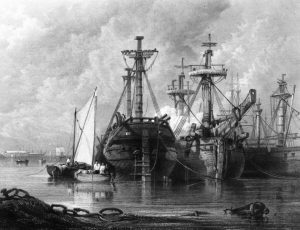 Some 200 years ago the area was the home to floating prison boats known as prison hulks which housed mainly men and boys. Most of these prisoners would die from the contagious diseases that were rife in such squalid conditions and consequently they were buried only 6 feet deep in the nearest location – Deadman’s Island. 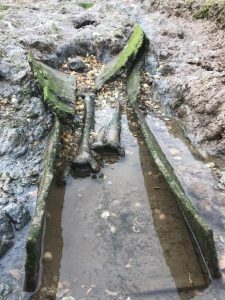 Over the years the island has been slowly eroded and at low tide there are now bones and coffins literally sticking out of the island and occasionally floating away! Sailing around the island is only possible at quite high water and involves lots of tacks to get up the narrow channel. Luckily as a consequence, I managed to avoid any close encounters with the gruesome residents of Deadman’s Island. Yodare Island of the Week No. 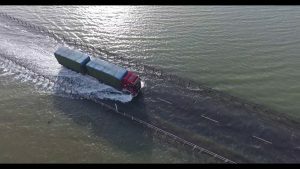 11 – Osea Island – Rock and Roll Island Resort!